Hand-crafted Victorian playhouse measures 6 feet wide by 8 feet deep. Standard features for the Victorian playhouse include vinyl siding with 4' tall side walls, octagon window in dormer, straight or wavy trim (wavy trim is only available in white), 2 windows with shutters, 1 child's door, 1 adult door and pressure treated floor joists. Each playhouse is hand-crafted in the United States by expert Amish woodworkers and finished to order with your choice of colors for vinyl siding, shutters, trim and roof shingles. Model shown in photo is finished with tan vinyl siding, green shutters, white trim, weatherwood roof shingles and optional deck, chimney, vent and flower boxes. Hand-crafted Victorian playhouse measures 8 feet wide by 8 feet deep. Standard features for the Victorian playhouse include vinyl siding with 4' tall side walls, octagon window in dormer, straight or wavy trim (wavy trim is only available in white), 2 windows with shutters, 1 child's door, 1 adult door and pressure treated floor joists. Each playhouse is hand-crafted in the United States by expert Amish woodworkers and finished to order with your choice of colors for vinyl siding, shutters, trim and roof shingles. Hand-crafted Victorian playhouse measures 6 feet wide by 10 feet deep. Standard features for the Victorian playhouse include vinyl siding with 4' tall side walls, octagon window in dormer, straight or wavy trim (wavy trim is only available in white), 2 windows with shutters, 1 child's door, 1 adult door and pressure treated floor joists. 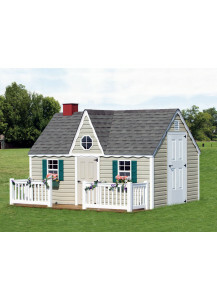 Each playhouse is hand-crafted in the United States by expert Amish woodworkers and finished to order with your choice of colors for vinyl siding, shutters, trim and roof shingles. Hand-crafted Victorian playhouse measures 8 feet wide by 10 feet deep. Standard features for the Victorian playhouse include vinyl siding with 4' tall side walls, octagon window in dormer, straight or wavy trim (wavy trim is only available in white), 2 windows with shutters, 1 child's door, 1 adult door and pressure treated floor joists. 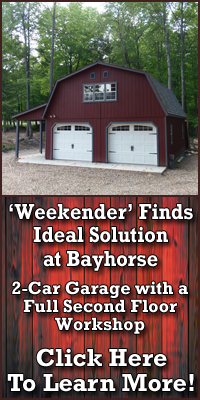 Each playhouse is hand-crafted in the United States by expert Amish woodworkers and finished to order with your choice of colors for vinyl siding, shutters, trim and roof shingles. Hand-crafted Victorian playhouse measures 8 feet wide by 12 feet deep. Standard features for the Victorian playhouse include vinyl siding with 4' tall side walls, octagon window in dormer, straight or wavy trim (wavy trim is only available in white), 2 windows with shutters, 1 child's door, 1 adult door and pressure treated floor joists. Each playhouse is hand-crafted in the United States by expert Amish woodworkers and finished to order with your choice of colors for vinyl siding, shutters, trim and roof shingles. Hand-crafted Victorian playhouse measures 8 feet wide by 14 feet deep. Standard features for the Victorian playhouse include vinyl siding with 4' tall side walls, octagon window in dormer, straight or wavy trim (wavy trim is only available in white), 2 windows with shutters, 1 child's door, 1 adult door and pressure treated floor joists. Each playhouse is hand-crafted in the United States by expert Amish woodworkers and finished to order with your choice of colors for vinyl siding, shutters, trim and roof shingles. Hand-crafted Victorian playhouse measures 8 feet wide by 16 feet deep. Standard features for the Victorian playhouse include vinyl siding with 4' tall side walls, octagon window in dormer, straight or wavy trim (wavy trim is only available in white), 2 windows with shutters, 1 child's door, 1 adult door and pressure treated floor joists. Each playhouse is hand-crafted in the United States by expert Amish woodworkers and finished to order with your choice of colors for vinyl siding, shutters, trim and roof shingles. Hand-crafted Victorian playhouse measures 10 feet wide by 12 feet deep. Standard features for the Victorian playhouse include vinyl siding with 4' tall side walls, octagon window in dormer, straight or wavy trim (wavy trim is only available in white), 2 windows with shutters, 1 child's door, 1 adult door and pressure treated floor joists. Each playhouse is hand-crafted in the United States by expert Amish woodworkers and finished to order with your choice of colors for vinyl siding, shutters, trim and roof shingles. Hand-crafted Victorian playhouse measures 8 feet wide by 18 feet deep. Standard features for the Victorian playhouse include vinyl siding with 4' tall side walls, octagon window in dormer, straight or wavy trim (wavy trim is only available in white), 2 windows with shutters, 1 child's door, 1 adult door and pressure treated floor joists. Each playhouse is hand-crafted in the United States by expert Amish woodworkers and finished to order with your choice of colors for vinyl siding, shutters, trim and roof shingles. Hand-crafted Victorian playhouse measures 10 feet wide by 14 feet deep. Standard features for the Victorian playhouse include vinyl siding with 4' tall side walls, octagon window in dormer, straight or wavy trim (wavy trim is only available in white), 2 windows with shutters, 1 child's door, 1 adult door and pressure treated floor joists. 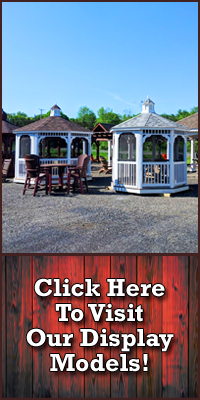 Each playhouse is hand-crafted in the United States by expert Amish woodworkers and finished to order with your choice of colors for vinyl siding, shutters, trim and roof shingles.